Country music fans will probably be talking about the 2018 ACM Awards for a long time! Check out the highlights from Las Vegas here! The 53rd Academy of Country Music Awards, which aired live Sunday night via CBS from the MGM Grand Garden Arena in Las Vegas, did not disappoint! The ceremony was hosted by country music legend Reba McEntire for the fifteenth time since 1986. Watch Reba kick off the star-studded night! The 2018 ACM Awards named Jason Aldean as Entertainer of the Year, the evening’s biggest honor. This marked the third consecutive win for Aldean in this category and his 13th overall ACM Award win. Watch the star accept the especially emotional honor below! Miranda Lambert won ACM Female Vocalist of the Year for the ninth consecutive year and is the current record holder for most consecutive wins in this category. Lambert also won ACM Song of the Year for “Tin Man” along with co-writers Jack Ingram and Jon Randall, receiving two awards, both as artist and songwriter. With these wins, she now has 32 ACM Awards, and is the most-awarded artist in ACM Awards history, a record previously held by Brooks & Dunn. Watch the Texan deliver her acceptance speech! Lauren Alaina, Midland and Brett Young were also previously announced winners for ACM New Female Vocalist of the Year, ACM New Vocal Duo or Group of the Year and ACM New Male Vocalist of the Year, respectively. 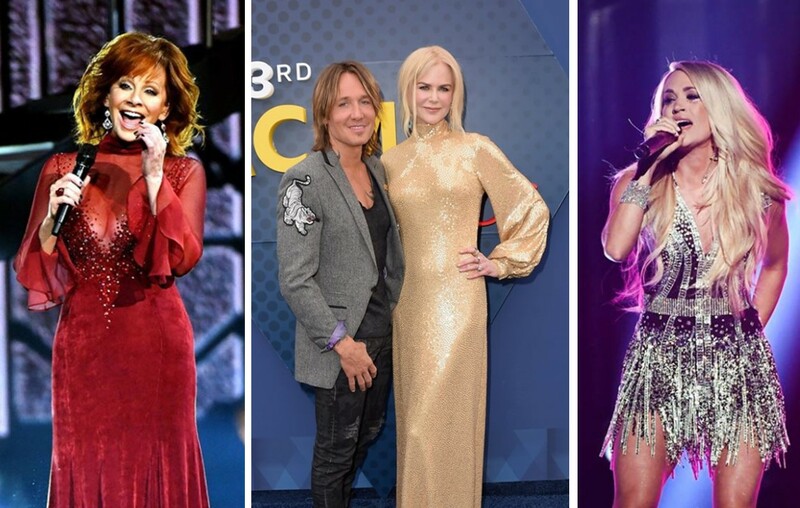 The winners received a surprise phone call from host Reba McEntire last month notifying them of the news and were also surprised with the actual ACM Award in the days leading up to the show. Jon Pardi presented Alaina with her ACM Award during rehearsals. Watch Keith and Carrie get emotional while accepting their Vocal Event of the Year trophy! The ACM Awards also featured performances by ACM New Female Vocalist of the Year Lauren Alaina, ACM Entertainer of the Year Jason Aldean, Kelsea Ballerini, Dan + Shay, Dierks Bentley, Luke Bryan, Kenny Chesney, Chris Janson, Lady Antebellum, ACM Female Vocalist of the Year Miranda Lambert, Little Big Town, ACM New Duo or Group of the Year Midland, Maren Morris, Thomas Rhett, Darius Rucker, Blake Shelton, ACM Vocal Event of the Year winner Carrie Underwood, ACM New Male Vocalist of the Year Brett Young and Chris Young. We doubt anyone will forget Carrie Underwood’s big return with “Cry Pretty”! Share this recap with other country music fans!